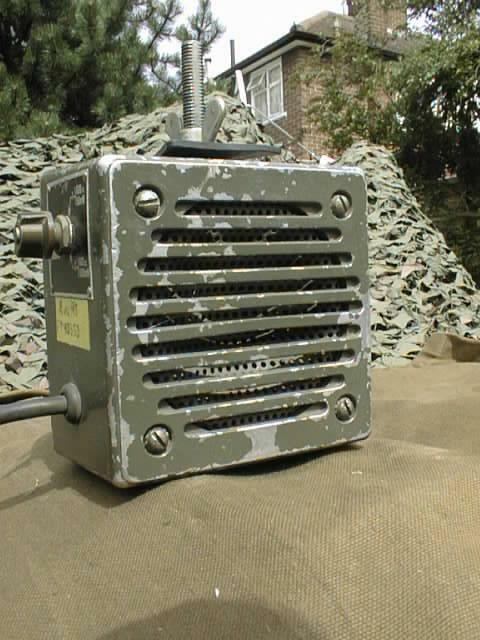 French made, SP-253 Loudspeaker is used with the older style military radio sets which have a U-79/U audio connector. Speaker is permanent magnet cone type producing 3 Watts in to 8 Ohms, and is coupled through a sealed, 8 Ohms to 600 Ohms impedance matching transformer. Frequency response 300Hz to 7Khz. 3 position mode switch 600 Ohm @50mw, 600 Ohm @500mw, and 8 Ohm @500mw. Water proof cast aluminium construction intended for Field or vehicular use. The connecting cord is terminated with a U-77/U connector.